Warren Talmadge Blanchard, age 87, died on Monday, March 18, 2019, in San Antonio, Texas. Warren was born on February 24,1932, in Augusta, Georgia, to parents Russell Edwin Blanchard and Annie McKie Blanchard. Warren graduated from the University of Georgia, New York University-Bellevue, and the University of Michigan. He practiced as a CRNA as a medical missionary in Shell, Ecuador, with the US Air Force, and at the Veteran's Administration Medical Centers in Little Rock, AR and San Antonio, TX. 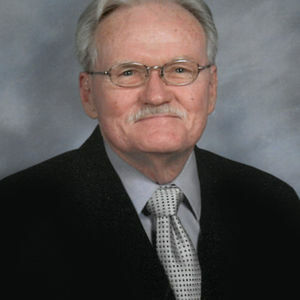 Warren was a member of Woodland Baptist Church in San Antonio, where he volunteered in the music ministry. He also volunteered with Christus Santa Rosa Hospice and Texas Public Radio. He was preceded in death by his parents and sister-in-law, Connie Cook Blanchard. Warren is survived by his brother, Russell Edwin Blanchard, Jr; his nephew, Russell Edwin Blanchard III; his nieces, Connie Lee Blanchard, Laurie Blanchard Vera and her husband Phillip Sheldon Vera, Jr; his great nieces and nephew Catherine Elizabeth Blanchard, Russell Edwin Blanchard IV, and Annie Elizabeth Vera; and his friends for over fifty years, Allen Dale Saulsberry, Ben Heath, James Arrington, Delores Baklenko, Lois Kankovsky, Wylda Sparrow, and Lois Price. A funeral service of song and scripture will be held Monday, March 25 at 11am at The Hill Baptist Church in Augusta, Georgia. The family will receive friends at 10am prior to the service in the Welcome Center at the church. A private family burial will follow at Westover Memorial Park. Pallbearers will be James Anderson, Stanley Anderson, Russell Blanchard, III, Russell Blanchard, IV, Duncan Johnson, Jr., Steve McElmurrary, and Phillip Vera, Jr. In lieu of flowers, memorial contributions may be made to Wheaton College in Wheaton, IL, www.wheaton.edu/giving, Fuller Theological Seminary in Pasadena, CA, www.fuller.edu/giving, Gordon-Conwell Theological Seminary in South Hamilton, MA my.gordonconwell.edu/stewardship/Serve-With-Us, or Reach Beyond (formerly HCJB Global), P.O. Box 39800, Colorado Springs, CO 80949.